Following our fitness plan from Part Two? 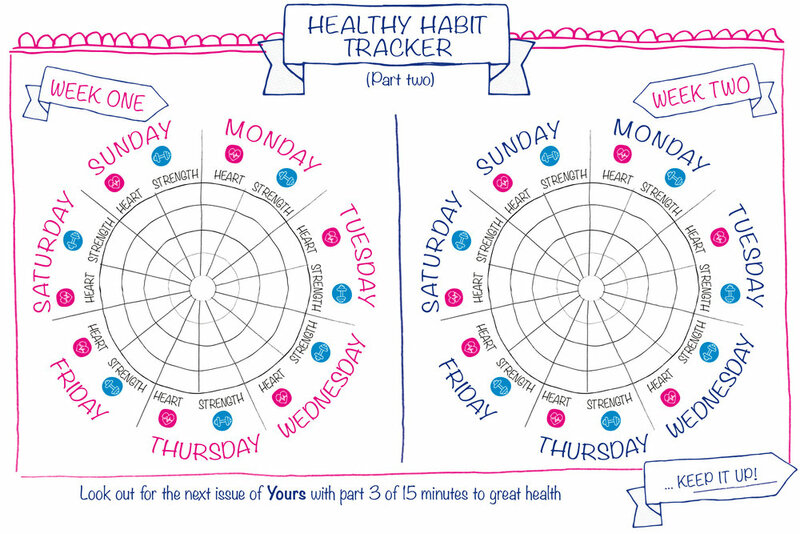 Here's a free download of the heart tracker for when yours has run out. Right-click the image and save it to your desktop - then print as many as you need. Being active can extend your life by a whopping three years, and keeping track will help you stay focused and stick to your goals.